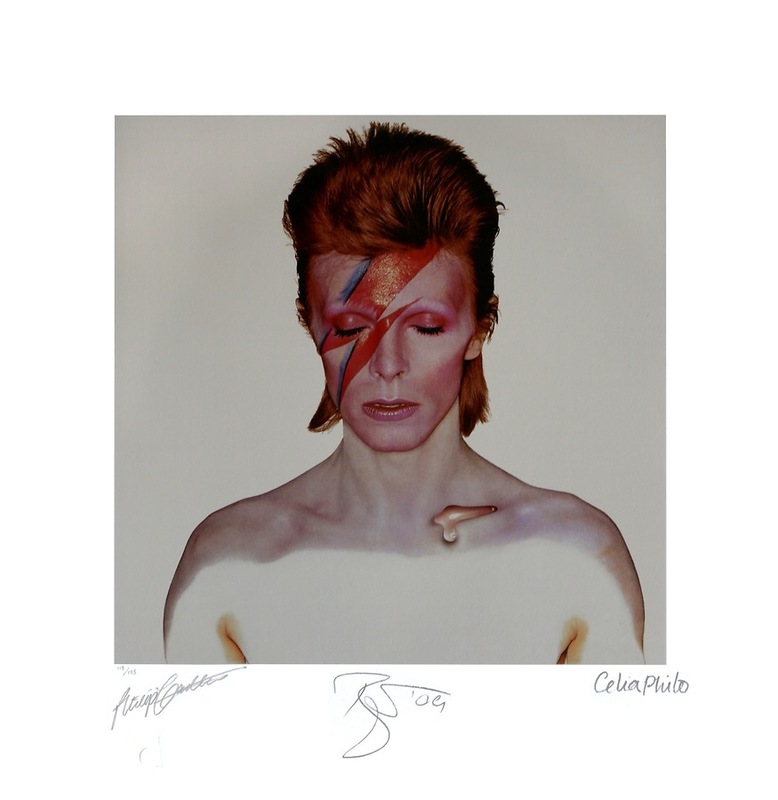 “The photographic shoot for the cover of Aladdin Sane, David Bowie’s 1973 album, happened like magic. I always say its success was the result of a lucky collaboration of people who worked together just once, but created something truly special. It was an evening shoot at the photographer Brian Duffy’s studio in Primrose Hill, north London. In the studio there was just Duffy, myself and Pierre La Roche, a French make-up artist who Duffy chose for the shoot. David arrived all by himself; there was no fanfare, no entourage, not even his then-wife, Angie Bowie. There are lots of versions of the story about where the famous lightning flash make-up came from. Duffy – who sadly is no longer with us – had been heard to say that the lightning flash was inspired by a symbol that was on the little electric cooker in our studio. But I recollect all of us sitting round the studio table with a big pad of paper, talking through ideas, jotting them down. We knew that David had appeared wearing costumes with a lightning flash on them in the past, and Pierre said, ‘Let’s put the flash over his face’. I remember thinking, ‘That sounds a good idea’ and so we went with it. The orange, spiked-up hairstyle in the photo looked exactly as it did when David arrived at the studio – we didn’t have to do anything to it.